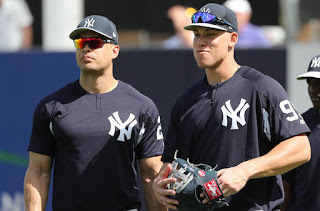 MLB Opening Day, so I guess it's our baseball preview featuring Flo's Yankees and Aaron Boone. Plus the Warriors caught the injury bug at the worst, or right time? LeBron saying he'd vote for himself and the new NFL rules with catches and helmet hitting.